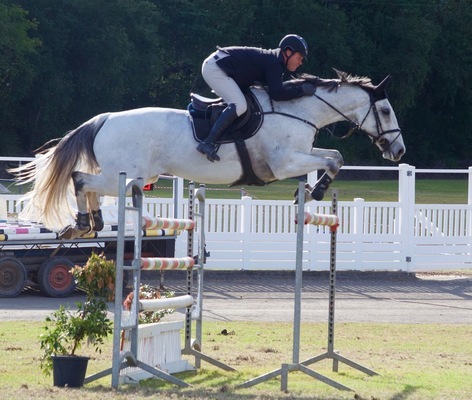 For an opportunity to enjoy some spectacular showjumping performances locally, this coming weekend, head to Nambour showgrounds on Saturday night or Sunday, to see some of the best horses in the nation in action, as well as many up and coming junior riders. Following the success of members of the Sunshine Coast Showjumping Club in Australia’s premiere showjumping series – The Pacific League World Cup – entries to this month’s Grand Weekend of showjumping are bigger than ever, with over 20 World Cup riders competing. Over 400 horses have already been entered in this three-day show that caters to riders from the youngest beginners to Australia’s top showjumpers. Friday’s events will be a warm-up for the weekend’s classes. Held at the Nambour Showgrounds over the 29th, 30th, and 31st of March, two rings will be run out on the Nambour Showgrounds arena. The main events will be held on the weekend, with Saturday’s Junior Championship at 6.00pm, under lights; Sunday’s new event the early morning Foxhunter class, for novice horses; and Sunday’s early afternoon Grand Prix, where some of the best horses in the nation will be competing. In the 2018-19 Pacific League World Cup series, four of the top ten places were won by members of the SCSJ Club. In addition, the club’s own Billy Raymont, winner of the series in 2017, had a very successful overseas campaign in 2018 on Oaks Redwood, competing against the world’s very best and winning prize money in Hong Kong, Belgium, Germany and France. Oaks Redwood was eventually sold to Bill Gates for his showjumping daughter Jennifer. Entry to watch these classes is free, and a canteen will be run throughout the show. For entry information call or SMS Sue Raymont on 0400104099.